A couple of weeks ago my lovely boyfriend and I travelled to a city I've always wanted to visit, to do something rather amazing. 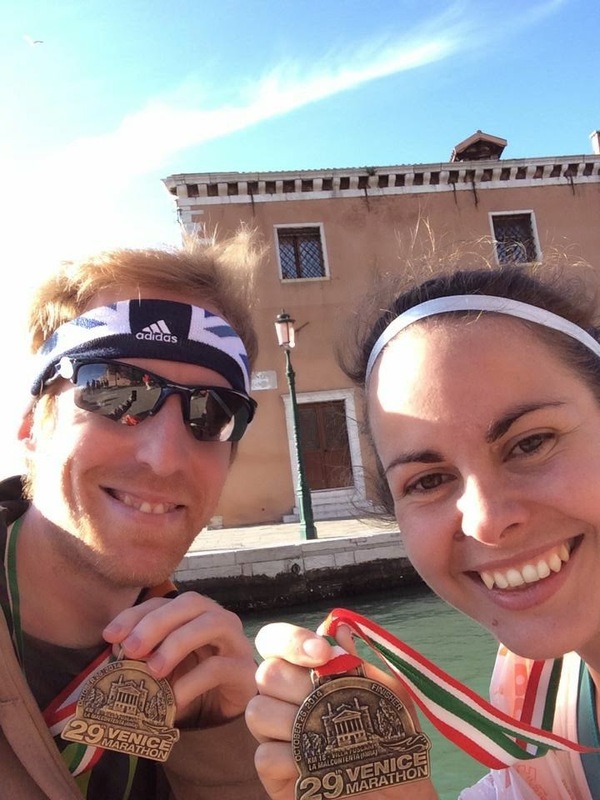 We went to Venice, and ran the 29th Venice marathon. 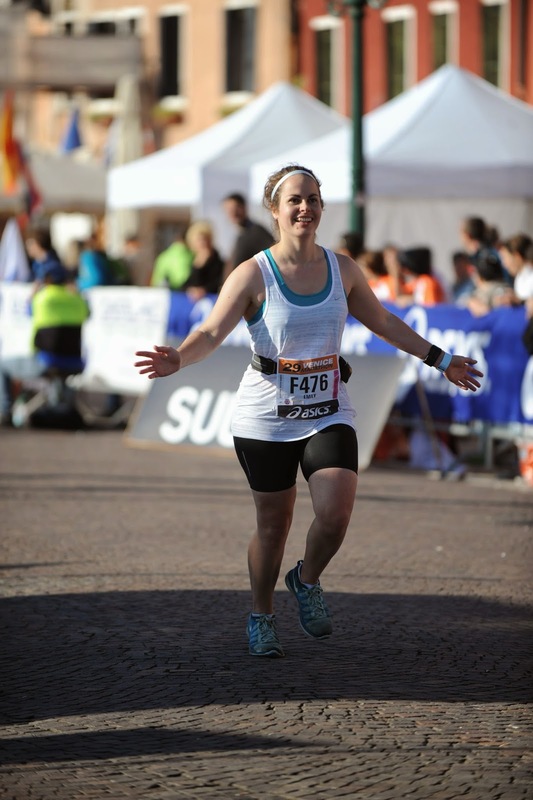 I'm going to do a separate post on the personal aspects of running a marathon, and the impact it has had on my outlook. In summary - it's awesome. I had an incredible time. The world post-marathon is a wonderful place. 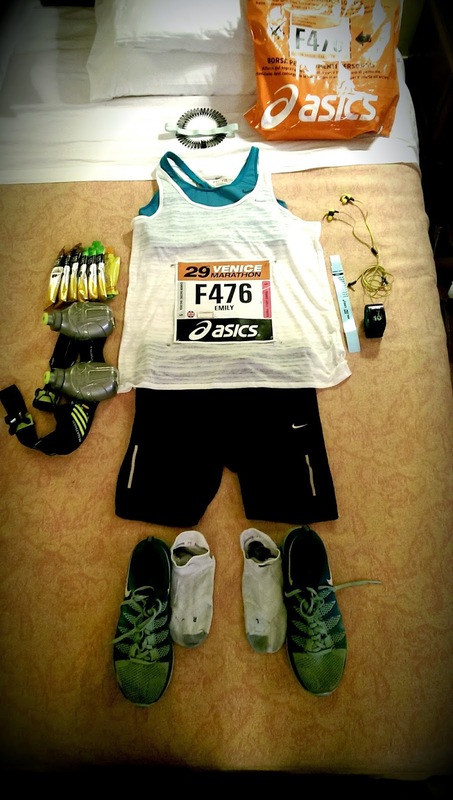 This post however is a bit of a review of the marathon/city. Fair warning - it's a bit gushy. I loved both. 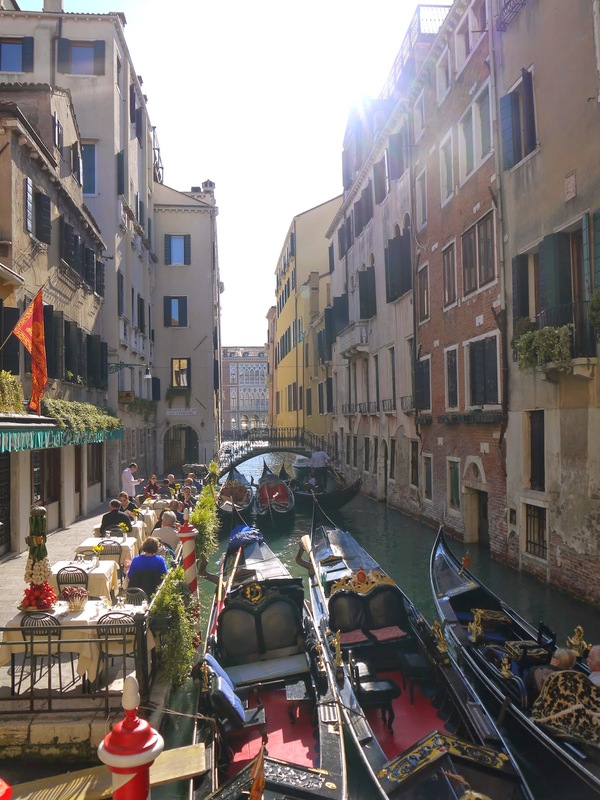 Venice has been on my 'to visit' list for a very long time. It far exceeded expectations. It's spectacularly beautiful, and bigger than I'd thought. We were absolutely bowled over by the fact that ALL of it looks like a film set. All those pretty photos/films you've seen? It's all exactly like that. Getting around is very easy - on foot places are generally within easy reach and we walked most places. The Vaporetto water buses are highly efficient and reasonably simple to figure out. 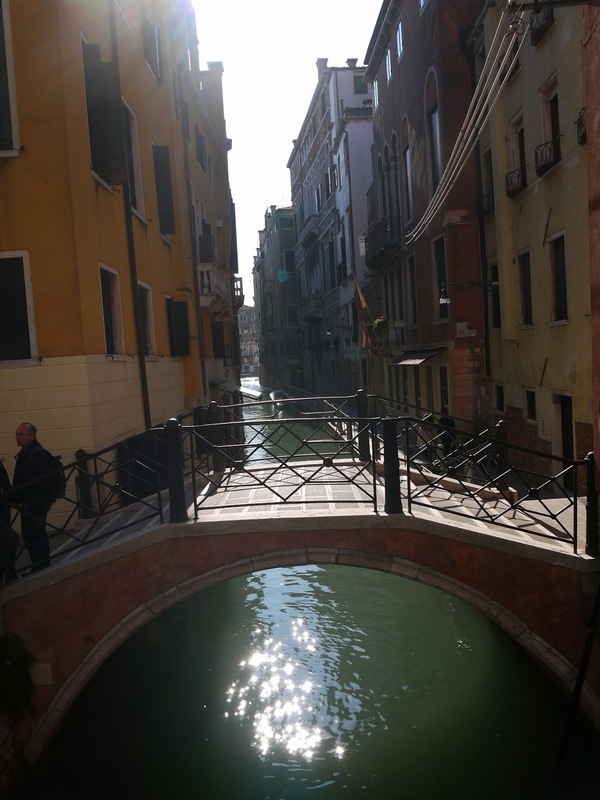 Getting lost on the streets is easily done (and part of the fun), but it's easy to find yourself again - street names are very visible and if you've got a vague sense of direction eventually you'll just hit the lagoon. The city is packed with tourists. We were there at the end of October so probably not at peak tourist season but still expect some queues for the big attractions and the main streets to be full of ambling tourists. It's not unpleasant though and generally everything flows. Get out early/late though and you'll have the streets nearly to yourself. 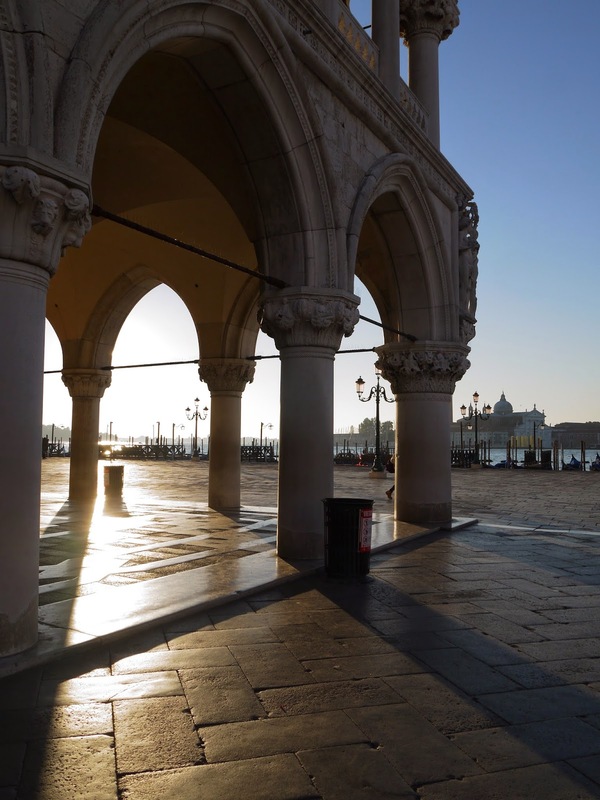 Highly recommend getting up to watch the sunrise and have a wander as Venice wakes up (very do-able in October when the clocks went back). Things are expensive, but some snooping around the back streets will find you some good reasonable food and drink. We had some wonderful prosecco for 4 euros a glass. And pre-race pasta was plentiful! 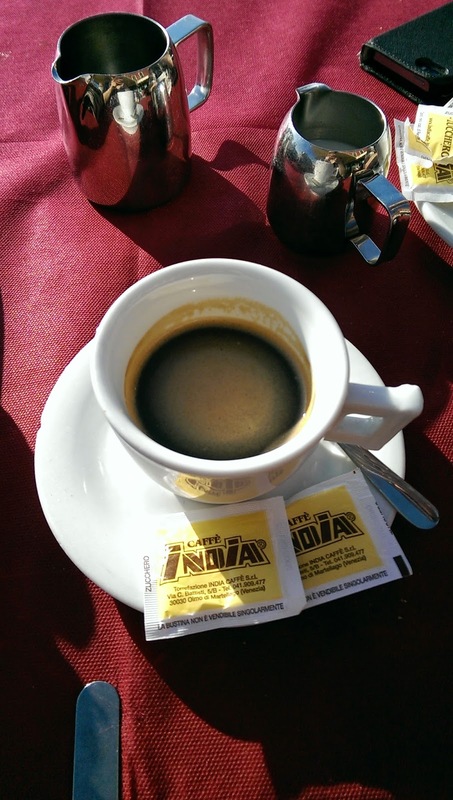 The coffee was also particularly good. A quick note about the weather - we totally lucked out and had cloudless blue skies every day. The sun was warm but in the shade/wind it definitely felt like October. It was perfect. 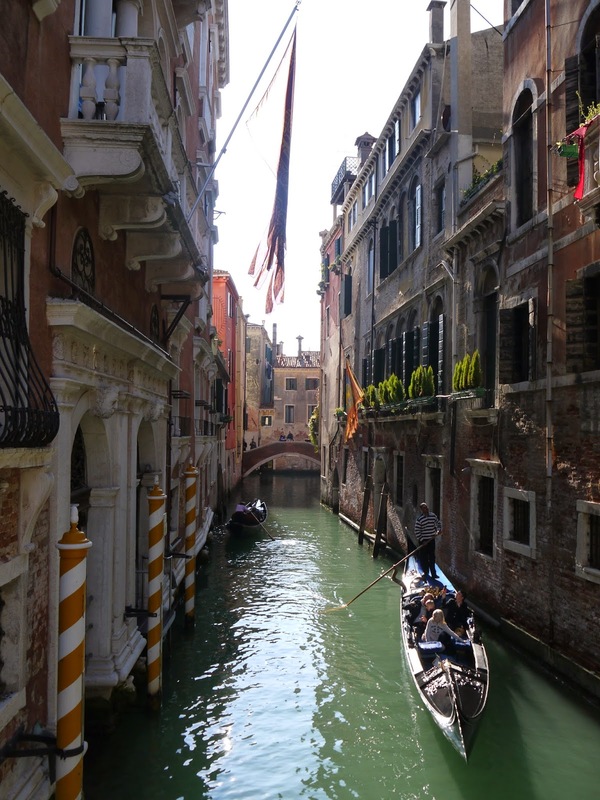 It does however mean that in my head Venice is eternally sunny. This really was an impeccably organised event. We got regular highly informative emails from the organisers, including countdown checklists as the event got closer. The website was full of information. Information on race pack collection was good, and the expo was large and buzzing. The race pack itself was full of useful facts. Transport to the start area was provided from the city although the 20 minute window at 6:30am made things a little stressful (a lovely man on the front desk at the hotel looked up water bus times to get to the pick up point for us). At the start things were again perfectly organised - a giant marquee for getting ready/sitting and mentally preparing, with lots of toilets and free sweet tea. Bag drops were easy. The start waves were obviously set out - apart from the last two (i.e. anything over 4hrs) which just ended up joined together. Which was actually a bonus because it meant I got to start with the lovely boyfriend. At the end the bag collection was incredibly easy, and again there were tents for changing and showers. We'd chosen our hotel to be near the finish, so didn't make use of the return transport services or finish facilities so I can't really rate them. It was a point-to-point course, starting way outside the city in a town called Stra. 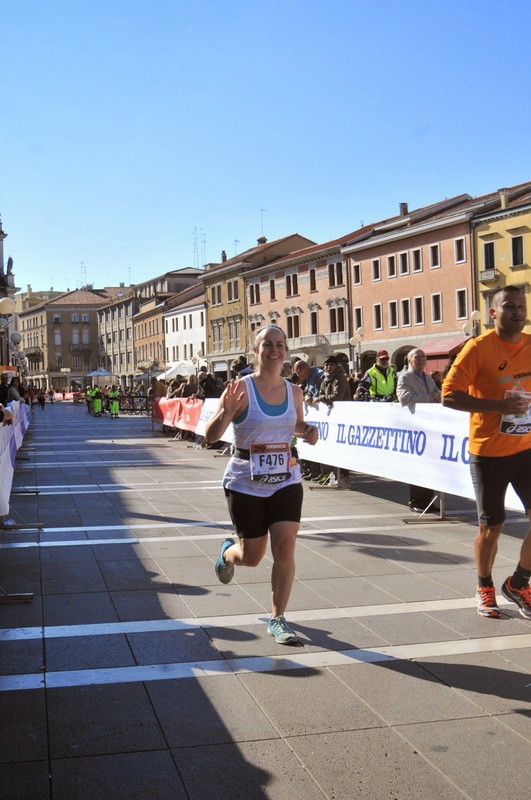 The course went along the closed main road into Venice, taking in the countryside and towns along the way, before hitting the expo park then crossing the bridge into Venice and seeing the best of the city in the last few kilometres. Throughout the course the runners were the most important people. I felt like a superstar. Running down the middle of a big road, whole towns turning out to support, big bands along the way, everywhere people clapping and shouting 'brava!' at me. There were quieter bits too, which just allowed me to enjoy the mental aspect of distance running. It was a good balance, and meant that the good bits just acted as a bigger 'pick me up'. Kilometer markers were visible and accurate. The route was obvious and well marshalled, no chance of getting lost here. Water stations were regular and fully stocked and staffed (by the looks of it) by local scout volunteers. Bottles were provided! I've never run a race with bottles before, and it was wonderful. Hugely appreciated. After halfway the stations included some electrolyte drink and fruit. There were also sponging stations (sponges were provided in the race packs - although missing in mine!) and although not much needed it was sunny and I can imagine if it had been much hotter they would have been very welcome. The course was flat and wide until about 30km when various bridges heralded the beginning of the end. 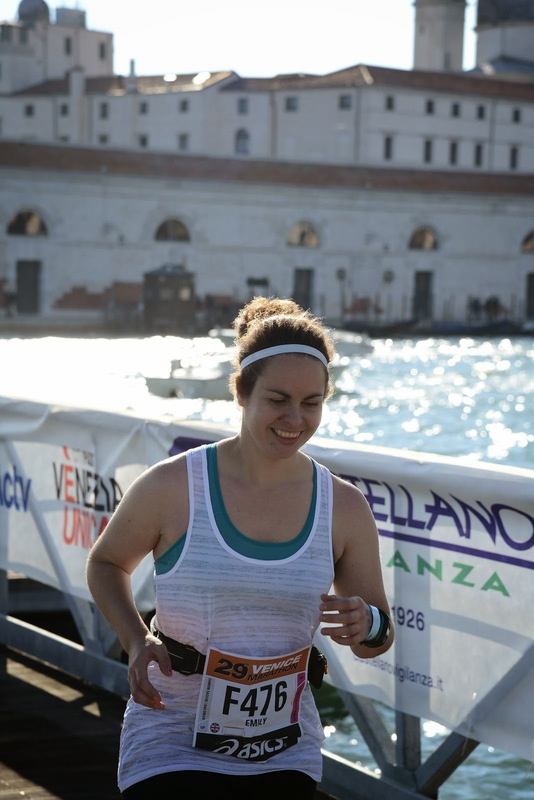 The big bridge into Venice was half closed - so the runners had the road to themselves, and the cars sat in the traffic into town provided extra spectators. 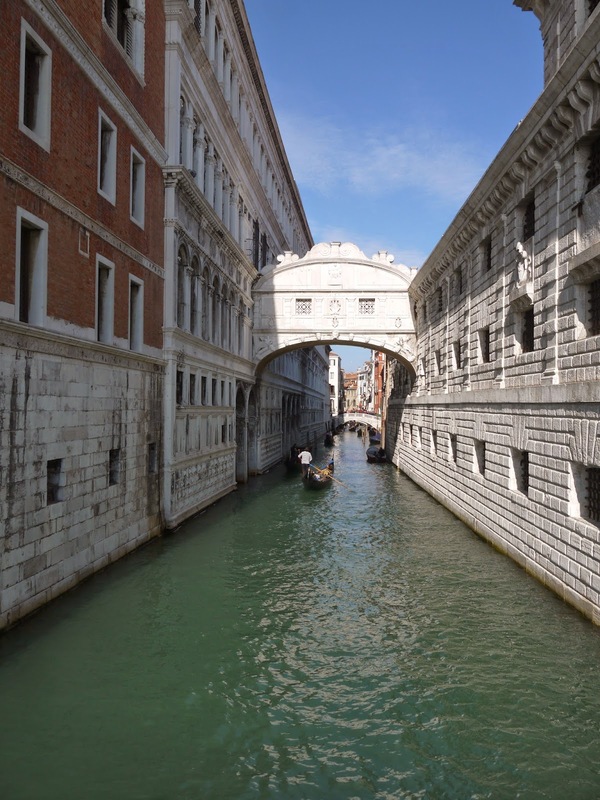 In town the bridges over the canals had been ramped and the route was fenced off and marshalled by police officers. Again, I felt like a superstar. Very much at the back of the pack but still tourists were hurried across crossing points as I approached. Still people were out supporting, hours after the majority must have come past. There was a floating bridge built across the grand canal, just for the runners. 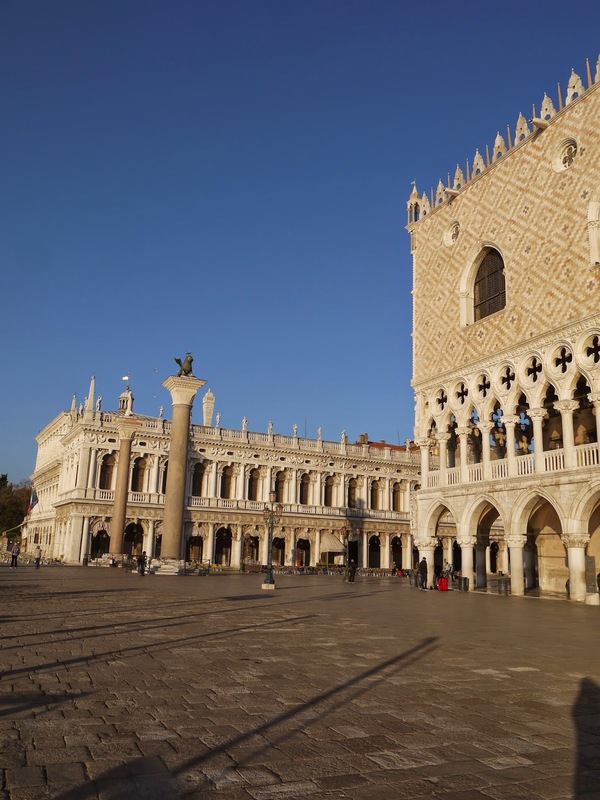 Half of St Mark's Square was cordoned off for the route. Really, I can't describe how much it felt that the organisers had ensured the runners had the best experience possible. The city was massively inconvenienced by the road closures and barriers for the day, and there was absolutely no hiding this run in the suburbs. It was an incredible and inspiring course, which placed the running experience at the heart of it all. There was a long-sleeved technical tee with a simple 'Venice marathon' logo in the race pack. It looks good. I can also confirm it's perfect autumn running wear. The all important medal didn't disappoint. 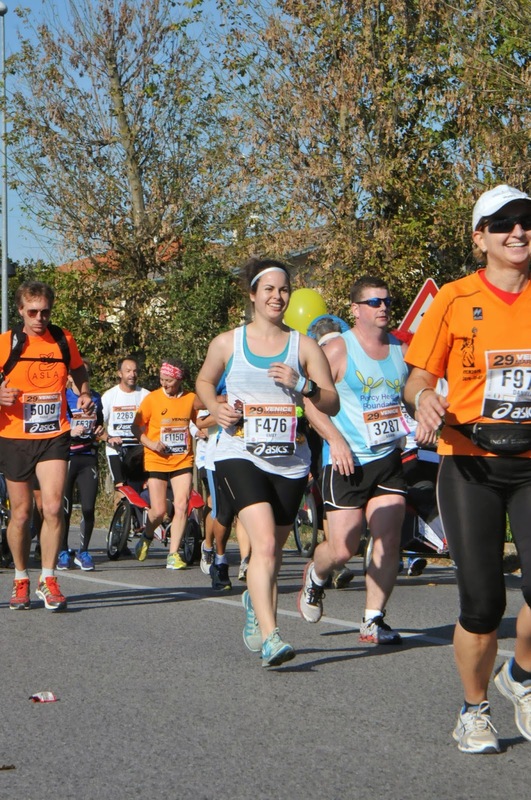 ; each year it features a site from the course, as well as the key words 'finisher', 'marathon' and the date. All on a nice italian ribbon… I was very pleased with it. In terms of the goody bag there was some beer, electrolyte drink, fruit, some weird jam snack, loads of leaflets. The race pack included some energy bars and food, as well as a guide describing what to look out for along the route and information for spectators. You could also get a personalised pacing wristband at the expo with a postcard for your supporters detailing at roughly what time you'd be coming through various points. There was also loads of merchandise available online and at the expo. It was really nice looking Asics kit, and I was very tempted. I like when there's extra stuff to buy, with some logos and 'marathon' splashed all over it! 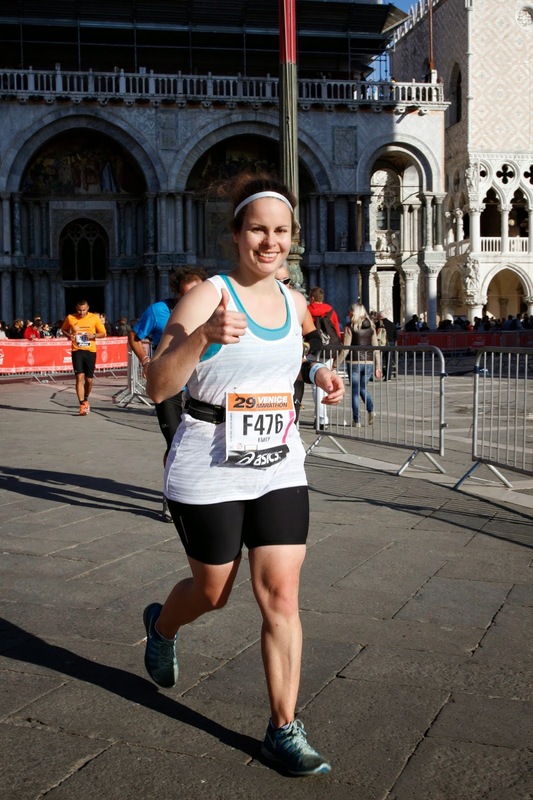 So, in summary, if anyone was thinking of doing their first marathon, or keen to try one somewhere different, I would recommend Venice in a heartbeat. I would probably bore them silly with my ramblings about how incredible it was. The organisation of the race and the value placed on the running experience were second to none, and the scenery and surroundings absolutely stunning. It ticked every single box. Yes, we hit the jackpot with the weather which will obviously improve any experience, but all the great things I've discussed would still have been great things even if it was awful weather. There just might have been fewer supporters. Although I suspect that actually it wouldn't have put them off that much. Go. It might be a bit expensive but if you take a few days to do the city too (we had 6 days in total, 2 pre and 3 post) then it becomes a hugely fulfilling holiday. It was so worth it.